Coding clubs for girls. Great idea, right? For girls who like to code or for those who might be interested in learning to code, I want to introduce you to the Girls Who Code program, a non-profit organization that sponsors FREE coding Clubs around the country and teaches computer science to middle and high school girls. Girls Who Code was created to close the gender gap in technology and teach girls to code, putting them on track to rewarding careers in computer programming. 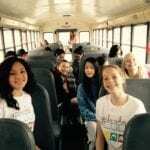 Girls learn about functions, variables, conditionals, and loops. Students can learn Python, C++, Java Script, HTML, CSS, jQuery, SQL, and Scratch. The curriculum for grades 3-5 is drawn from the Girls Who Code non-fiction book called “Learn to Code and Change the World” and essentially runs like a book club. Girls read passages from the book which are supplemented with discussions, chapter guides, and activities. They also work on computer science challenges which can be done offline or on computers. 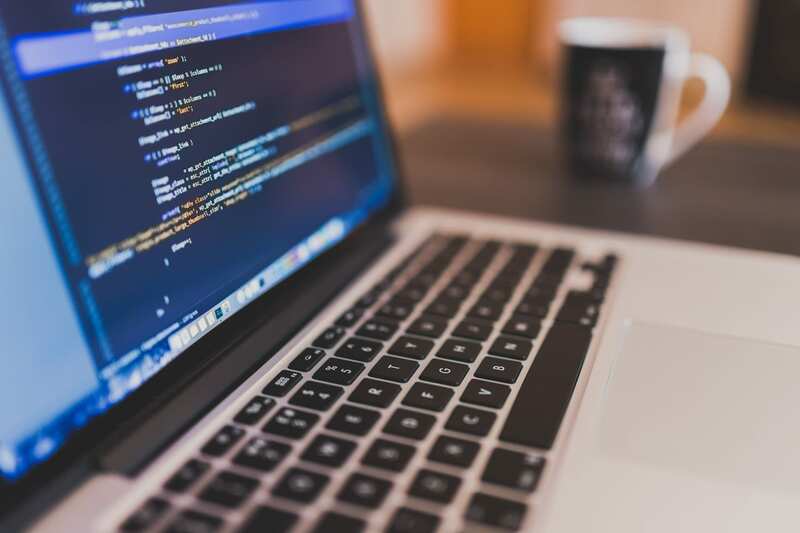 Students do not need to have prior computer programming experience. The Girls Who Code curriculum is designed for students with a wide range of computer science experience, from beginner basics all the way up to activities that introduce college-level concepts. The learning environment is nurturing, fun and friendly. Instructors come from all backgrounds and do not have to have a computer science background. All they have to have is an interest in getting involved with the program! Many instructors are brand new to coding themselves and sometimes end up learning to code alongside the girls. Clubs are run during the school year and weekly sessions vary in time and length depending on the age group and the host. 3-5 graders generally range from 30-60 minutes per week (5-10 week program) and 6-12 grade ranges from 1-2 hours per week (10-15 week program). If you know someone who is interested in joining or you are a student who is interested in participating, I would first look to see if there is a program near you. Go to the Girls Who Code locator search tool and find out if there is a Club in your area. If there is, contact the Club to learn if they are accepting new members. What if the Clubs are full or there are no Clubs in your area? 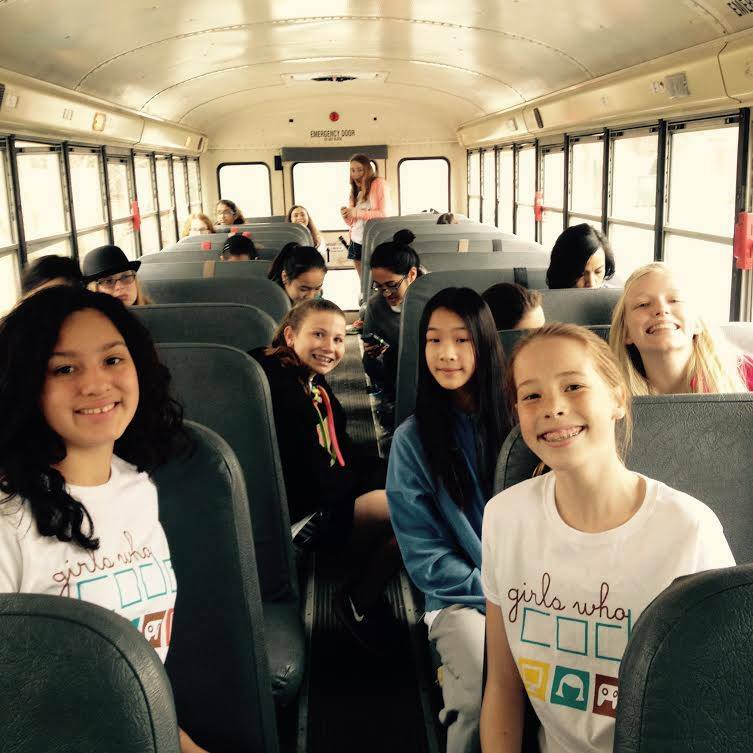 Girls Who Code is popular and the Clubs fill up fast. It is not uncommon for a Club to be at full capacity and unable to accept new members. You might also discover there are no Clubs near to you. Don’t get discouraged! It is possible to start a new Club. In fact, we started a Club in my town. My daughter loves taking coding classes, and I wanted her to be part of Girls Who Code but we didn’t have a program in our town. I approached our Young Adult librarian, Kylie Sparks, in Belmont, MA to see if she and the library would be interested in sponsoring a Club. I was delighted to learn that Kylie was already looking into the process. 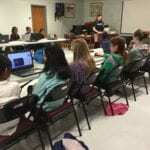 Our Club launched in January 2016 with 29 members and by the end of the school year, the girls had completed about 40 hours of programming in Python, a powerful, popular and easy-to-learn language. Get all of the details about how to start a Club here. There are a few critical things to consider before starting a Club. I asked Kylie Sparks, Young Adult librarian who started our program in Belmont, and Liz Rowland, Teen librarian who runs two successful programs in Newton, MA, to share their ideas and recommendations. Clubs can be initiated by anyone including a student, parent, librarian, after school program or community leader. Many girls take the initiative and start their own Club. 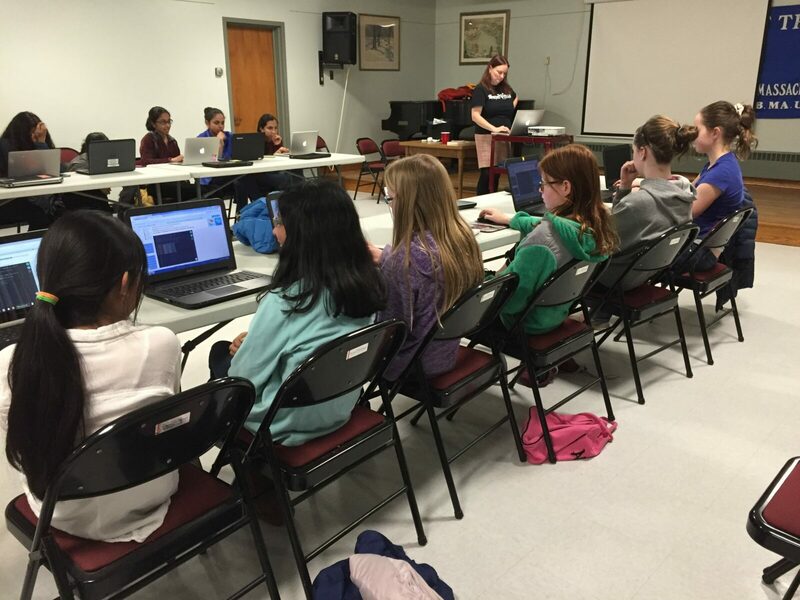 According to Liz Rowland, the Newton library started their first program in 2014 after a student who participated in the Girls Who Code Summer Immersion program approached her about starting a Club. Liz thought it seemed like a great free program and the library was happy to provide the space. Liz said the response has been “overwhelming” and they now run two Clubs a week. There are 25 girls in each Club and registration fills up quickly. She also said that she fields hundreds of emails from interested girls and parents and other libraries who are interested in starting their own Club. A Club needs to identify a person who will handle the administrative details which include securing a space, recruiting students and interacting with the Girls Who Code organization. Each Club needs a space that can accommodate all members such as a classroom, computer lab or community room. For the 6th-12th-grade program, you must provide a desktop or laptop computer to all members of the Club– tablets and phones are not allowed. You must also provide reliable internet access. I asked Kylie how she went about getting approval to host a Club at our library and she explained that she talked with the Director and the Head of Reference. She began by telling them about the success of the program at the Newton library. Both thought it was a good idea, but worried about the logistics of needing to reserve a room every week. Kylie agreed to be flexible about room scheduling: the Club does not always meet in the same room. Your Club will be listed on the volunteer application as an open location and volunteers can choose from this list for Clubs that work with their schedule. You can speed up the process and actively recruit in your community through local colleges, universities, and companies. Girls Who Code provides a volunteer information flyer that can be helpful as you do your outreach. If you find an instructor, ask them to complete an application. At our library, Kylie found our first instructor by advertising in the local newspaper. She said that other instructors found us, or were matched through Girls Who Code. She pointed out that it is important that facilitators have social skills and the ability to interact well with middle and high school girls. Cindy is a terrific example of why Girls Who Code was founded and is a testament to the strength of this program. She enjoyed the Club so much that she attended the Summer Immersion program. She is now helping our program as an informal facilitator and is planning a career in computer science. I want to personally thank the Belmont, MA library for being a leader in our community and supporting this wonderful program. I also want to thank Danya Baron, Girls Who Code student ambassador from Andover, MA, who initiated a coding Club in her own town and then provided invaluable assistance to get our program started. A final thanks to our wonderful volunteer instructors who are dedicated and committed to teaching girls how to code. I know that this innovative program is going to continue to make a lasting impact and propel many more girls to study computer science in college. 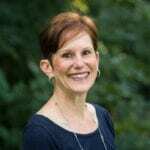 Editor’s Note: Article updated in 2019 to reflect new program for grades 3-5.